BOM/PVG/SFO - new daily flights to be launched from May 5th using a Boeing 777-300ER. 9W will have 5th freedom rights on the lucurative PVG-SFO-PVG route. BOM/HKG - new daily flights to be launched from April 14th using an A 332 nonstop. DEL/AUH - new daily flights to be launched from April 24th using a Boeing 737-800. COK/DOH - new daily flights to be launched from April 18th using a Boeing 737-800. BOM/MCT - new daily flights to be launched from April 18th using a Boeing 737-800. Korean Air has officially revealed that it will be launching new 3 weekly flights to GRU-Sao Paulo, Brazil from its ICN-Seoul hub via LAX-Los Angeles three times a week effective June 2nd 2008. The flight will be operated using a B 772ER and will have full 5th freedom rights on the LAX-GRU sector. As a result, its overall frequency to LAX too will grow as a result of this from 17 to 20 times a week i.e. double daily B 744s + 6 weekly B 772ERs. Austrian Airlines has announced that it will be launching new flights to RUH-Riyadh and JED-Jeddah each respectively nonstop from its VIE-Vienna hub effective August 18th 2008. RUH will be flown 3 times a week using an A 320 where as JED will be flown 4 times a week using also an A 320. Emirates has officially confirmed that it will be launching new nonstop flights from its DXB-Dubai hub to LAX-Los Angeles effective Sept 1st 2008. EK will use the Boeing 777-200LR on this flight which will seat 266 pax in a 3 class configuration. The flight will however suffer a payload restriction on both legs in the cargo belly as on the outbound sector, it can carry only 8 tons of cargo where as on the return it can carry 10 tons of cargo. A Boeing 772LR can carry 12-14 tons of cargo with a full load of pax on flights such as DXB-ORD! These flight timings allow excellent connections in both directions to AMD, IKA, DOH, KHI, MCT, KWI, BOM, DEL, BLR, MAA, HYD, COK, LHE, ISB and TRV. There is however bad news to report for EK as the German Transportation Ministry has refused to allow EK to fly to Berlin till 2011 and Stuggart till 2016 which is not a surprise to many as Lufthansa lobbied hard for this as they view EK as a huge threat in Germany towards their Asia and Africa market share. 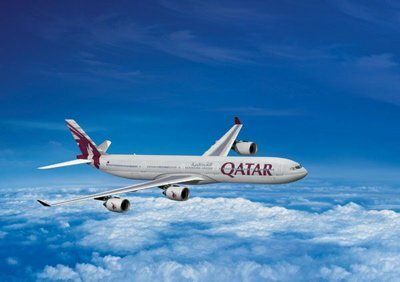 Qatar Airways has revealed that effective January 2nd 2009, it will be increasing capacity on its JED-Jeddah bound flights by flying the route daily with a Boeing 777-200LR. This will therefore result in the carrier offering a "same plane" daily service from IAH-Houston via DOH to JED. This is viewed as an excellent move by QR offering a same plane service on this very important high yielding oil/energy route which people think will result in many business class passengers flying them rather than its competitors. FYI, QR is involved in LH and UAL's respective frequent flier programs therefore making them an attractive option for the corporate traveller who are members of these 2 airline's frequent flier programs. Asiana Airlines has decided to upgrade capacity on its 3 weekly flights from ICN to DEL which are currently flown using a Boeing 767-300ER. Effective July 3rd, it will use the Airbus A 330-300 on this route on a permament basis. Air India will be upgrading capacity on its daily DEL-FRA-LAX flight by replacing the Boeing 747-400 Combi used on the route with a brand new Boeing 777-300ER. This will come into effect from May 17th 08. It has also announced that it will be suspending all flights to Bangkok effective March 31st 2008 and as a result fly to PVG-Shanghai from BOM via DEL nonstop using an Airbus A 310-300 four times a week only. It will however continue to offer code share service to BKK from BOM/DEL/MAA via its partner i.e. Indian Airlines. This will be seen as a huge relief to the LAX Air India passengers who have suffered many dangerous instances when taking AI for their journey back home. Few times there were fire related incidents with the aircraft and many times huge delays due to a tech problem. With the new B 773ER now destined to operate the route, AI will hope that the bad PR it has gotten over the years in LA will be forgotten when its pax experience its new in-flight product on board the B 773ER. Thai Airways has confirmed that it will be increasing frequencies to CGK-Jakarta from the on set of the Summer 08 timetable i.e. March 31st. Service will increase from daily to 10 times a week using AB6 three times a week plus a daily A 333. EVA Air will be increasing capacity to KUL-Kuala Lumpur from the on set of the Winter 2008 timetable by deploying its Boeing 777-300ER twice a week on the nonstop TPE-KUL route where as the remaining 4 weekly frequencies will be flown using an A 330-200. KLM has revealed that it will be reducing capacity to NBO-Nairobi from Summer 2008 by flying nonstop from its AMS hub using the Airbus A 330-200 on a daily basis instead of the Boeing 747-400. This is a direct result of the on going political crisis that has en-gulfed the state of Kenya since the new year causing many airlines to review their capacity and frequencies to the country. SCL - will get 5 weekly terminator flights from YYZ flown nonstop using the B 763ER from Dec 1st 08. EZE - will get 5 weekly terminator flights from YYZ flown nonstop using the B 763ER from Dec 1st 08. GRU - capacity will be upgraded to a daily B 773ER from Dec 1st 08. Etihad Airways has informed the media that it will indeed by placing a mega order worth nearly US$ 10 billion from Boeing or Airbus during the summer for 100 more planes i.e. 50 firm + 50 options. It will be ordering planes in all 3 categories i.e. 500 seater, 300 seater and 140 seater and would like them to be delivered from 2013 onwards. EY wants planes delivered by 2013 which means the A 350 has no chance if one goes why what EY states! The only planes that can be delivered by 2013 or from 2013 are the A 380/B 748 in the VLA category, the A 330/A 340/B 787/B 777 in the medium size category and the A 320 in the narrow body category. It is quite obvious that for the narrow body fleet that EY will choose the A 320 over the B 737NGs. For the VLA category, all hints lead towards a follow up order for additional A 380s. The only reason why I feel that EY is feeling the pressure to order more A 380s because they know that EK will be using them on the key trunk routes of LHR, NYC, SYD, BKK and India which are key markets of EY as well. For Etihad to compete effectively against EK by trying to match the low unit costs per seat that the A 380 can offer on long haul flights, it probably feels the necessity to order more of these aircraft type before its too late. The main interest one feels lies in the medium sized aircraft category as this is where the main order is to be won. The complex issue is that EY operates both the B 773ER and the A 330/340 family of aircraft hence it could end up ordering both aircraft but that is unlikely. B 773ERs for high density regional and long haul routes within a 8-14 hour flying time radius of AUH. A 332s to expand on medium density medium haul routes into Europe, Africa, India and the Far East. B 789s should be ordered to fully replace EY's A 332 fleet within a decade. I would not order more A 345s / A 346s because they are economically an inferior aircraft to operate on ultra long haul routes compared to the B 77Ls and B 77Ws. If anyone doubts this statement of mine, please take a close look as to why AF, AC, EK, QR, SQ and CX adopted similar fleet replacement policies. EY should follow what QR is doing i.e. set up an aircraft leasing firm and dry lease out their A 345s / A 346s when the time is right. 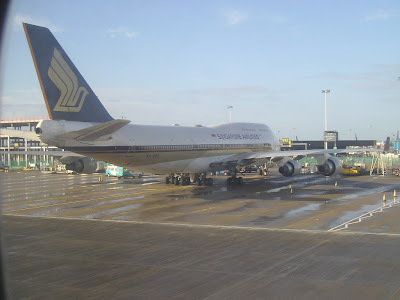 Singapore Airlines will be reducing their flights to LAX-Los Angeles that are routed via TPE-from 1st July 08. Frequencies would be cut to 4 weekly flights flown using a Boeing 777-200ER. On the India front, SQ has confirmed its intentions of increasing BLR bound flights to 12 times a week and then double daily as soon as the Indian Govt approves its request. With regards to DEL flights, it also plans to fly the route double daily within 2 years pending Govt approval. Lufthansa has officially confirmed that due to security related fears expressed by its cabin crew union, it will be suspending flights to Karachi effective immediately but will continue to fly to Lahore via a technical stop in Muscat. LH will continue to use the A 300-600R (AB6) on the FRA-LHE route via MCT until May 29th at least. Its cabin crew used to overnight at the Pearl Continental Hotel in LHE but now will deplane in Muscat. i. 3 weekly FRA/KWI/DMM and 3 weekly FRA/DXB/AUH will be replaced by 3 weekly FRA-DMM-AUH operated by an A 333. LH will not have 5th freedom traffic rights on the DMM-AUH-DMM sector. ii. FRA-KWI will now become a daily A 333 operated terminator flight. iii. FRA-DXB-MCT once a week is suspended but the 3 weekly A 333 operated flight from FRA to MCT via DOH is maintained. This does not come across as a surprise what so ever as the recent twin bomb blasts in LHE really frightened the LH cabin crew who took a combined decision not to stay in the city until the law and order situation improves. In any case, LH should look at now concentrating its long term strategy in PAK around LHE and forget KHI as its fruitless for them competing against EY/QR/EK on EU/UK/USA/YYZ routes. From LHE is where a vast majority of Pakistan's immigrant population residing in the West hails from and the city sees higher yield revenue per seat than KHI for most carriers due to lack of competition compared to KHI. Therefore, if this problem continues with its cabin crew, LH should seriously consider routing its LHE bound flights via a Middle East city that allows it also to carry lucrative 5th freedom traffic on the Middle East-Lahore route which will also provide it with an additional source of revenue. Turkish Airlines announced recently that in order to cater for the peak summer season traffic to its home base and Europe, it will be flying an additional 4th weekly flight to ICN-Seoul nonstop from IST between 28th June and 17th September. All 4 weekly flights operated by TK will be flown using an Airbus A 340-300. Air Asia X of Malaysia (the long haul low cost airline) has officially confirmed that it has placed an order for 10 additional Airbus A 330-300s with Airbus earlier on in the week. All of its A 333s will seat 392 passengers in an all economy class layout. This new order brings the total number of A 333s ordered by the airline to 25.